Did Luann de Lesseps Cheat On Tom D’Agostino Before He Cheated On Her? Tom D’Agostino deserves a bushel of apples for the drama he’s delivered on Real Housewives of New York. There was his whirlwind relationship and short-lived marriage to Luann de Lesseps. A marriage that ended just a hair over seven months in. From the start, it seemed like a question of “when” it would be over rather than “if.” Particularly after Bethenny Frankel told Luann about photos of Tom kissing another woman just weeks after they got engaged. After the wedding, it seemed like there was a new story every week on Tom’s alleged shadiness. Then following news of their divorce, the internet went crazy and Tom was branded as a cheater, liar, and all-around bad guy. Even so, Luann denied that infidelity played a role in their split. Money can’t buy you class, but it can buy you a one-way ticket and a home in Beverly Hills. 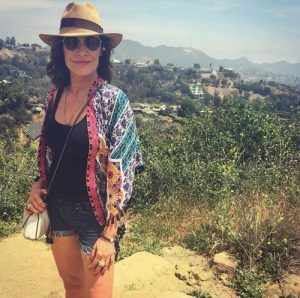 Is Real Housewives of New York OG Luann de Lesseps leaving the Big Apple behind for the west coast? That’s what she claimed earlier today. Besides some missing lobsters, the main storyline on season 11 of Real Housewives of New York is the bad blood between Luann de Lesseps and Dorinda Medley. It’s a shame they can’t drink and make up! But they can’t, and Luann’s hard-fought sobriety is part of the problem. An emotional dumpster fire conflagration that began last season when Luann— between trips to rehab– threw shade on Dorinda for her drinking. 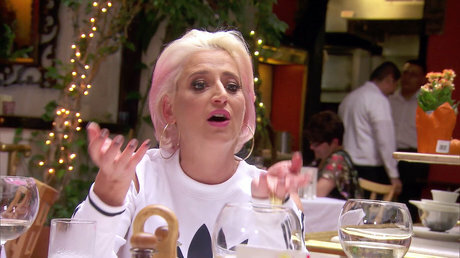 I never thought Sonja Morgan would be the voice of reason, but she spoke for all of us when she said Luann shouldn’t be advising Dorinda about her drinking. No good has come of it. 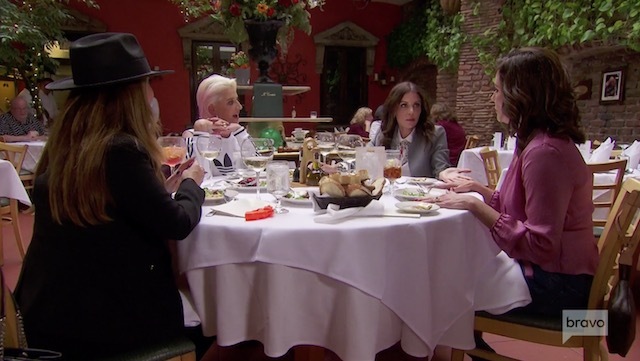 Bethenny Frankel tried to settle the beef at a “gangster lunch” last episode, which ended in a truce. A truce as opposed to a heartfelt reconciliation because Dorinda refused to admit heckling Luann. My only issue with the Real Housewives franchise is that it didn’t start sooner. Of course, I understand that the premise of the show is related to the women being at a specific place in their lives. Nevertheless, it sounds like they lived some super fabulous lives during their pre-reality TV days. If only reality television existed back in the day to see the younger Real Housewives. They probably went to some amazing parties and dated some famous people. Well, not all of them. 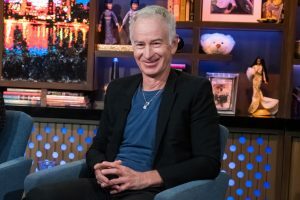 However, one of the Real Housewives dated tennis great John McEnroe many years ago. Can you believe that the Real Housewives of New York are in their eleventh season? Four weeks in, and the ladies are not disappointing. It is always great to catch up for the first few weeks and see what everyone has been up to. From Bethenny Frankel’s grief over the loss of Dennis Shields to Luann de Lesseps’ legal woes and second stint in rehab, the New York ladies are doing what they arguably do better than any other franchise-keeping it real, dramatic-and funny. And that sometimes painful realness is extending to the continuing drama between former BFF’s Luann and Dorinda Medley. An ugly falling out in Cartagena followed by some obnoxious heckling (Jovani, Jovani, Jovani!) by Dorinda at Luann’s cabaret show have left the two at odds. Now, however, Luann is sharing that she might have been a little hasty in her part in having Dorinda excluded from the clam bake at Barbara Kavovit’s home.